Quicker and easier - because you don't need to actually speak to anyone, ordering prints online can seem like the easier option. With some services, all you need to do is upload your documents and then choose how you want them printed. Easy to track - if you want an update on the status of your print order, all you need to do is log into the printer’s website and check on the order status. Limited product range - because it is all automated via the website there will be limited options available. You will choose from whatever printing formats and styles the website offers without many options for customisation or design. 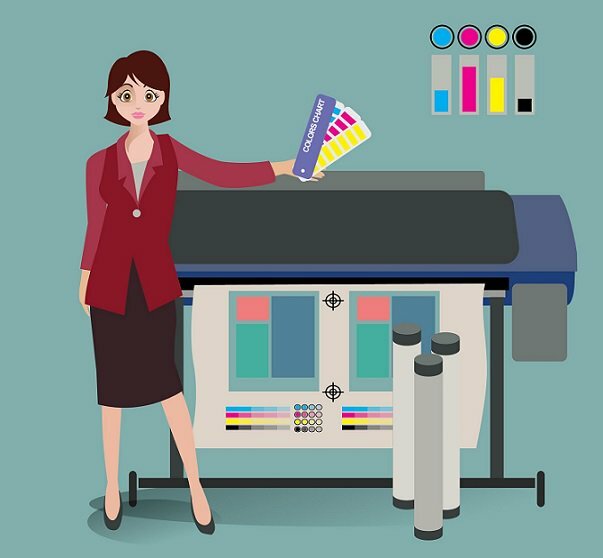 Missing the expert touch - the lack of human interaction means that you will not get the 1-on-1 advice that you would get from a more personalised printing service, so in essence you get what you ask for, not what you really need. Unlimited printing types - Because a print management company are total experts at printing, with many contacts in the industry, you can be certain that your individual printing needs can be met. Expert help - Again, because they are printing experts, a print management company will be able to help you with the whole process. So, if you are not quite sure what type or design of printing you require, a Print Management Company will be able to advise and guide you. Multi-channel marketing - It doesn't have to stop with printing. Your printed materials should form part of a wider marketing plan that can also include digital marketing channels, and a good print management company will be able to ensure your print as well as online activities tie together. Not as quick - The main perceived disadvantage to using a print management company rather than an online printing service is that it won't be quite as quick. Rather than just uploading your documents to a website and then selecting how you would like them printed, you will spend more time liaising with the print management company. This is actually be a good thing, however, because it means you are more likely to get the high quality printing that you need, and the actual print element of the job can be just as quick and cost effective for you with the right print management company on board. Many print management companies now also offer customer portals whereby customers can access services online – with the added security of professionals you can turn to for bespoke support. So, there you go – there are pros and cons to both online printing and using a print management company. Which one is right for you really depends on how specific your particular printing needs are, and whether you would benefit from the expert help provided by a print management company. To find out more about our own services and what we can provide, please get in touch by phone or by using our enquiry form. We look forward to hearing from you.